The Comprehensive and Progressive Agreement for Trans-Pacific Partnership, or CPTPP, came into force on December 30, 2018 for Australia, New Zealand, Canada, Japan, Mexico and Singapore, with Vietnam follows on January 14, 2019. Brunei, Chile, Malaysia and Peru will begin 60 days after they complete their ratification process. The agreement creates the third largest free trade area in the world by GDP. Eleven Pacific Rim countries signed the revised Trans-Pacific Partnership on Thursday afternoon, March 8, 2018 in Santiago, Chile finalizing the trade and investment agreement just over a year after the American withdrawal left its fate in question. The pact, renamed the Comprehensive and Progressive Agreement for Trans-Pacific Partnership (can be abbreviated as CPTPP or TPP-11), retains all of the tariff reductions and eliminations from the original version signed in 2016 by the 11 nations and the U.S. It suspends 22 other provisions, including some intellectual property rules. The CPTPP will reduce tariffs in countries that together amount to more than 13 percent of the global economy – a total of $10 trillion in gross domestic product. With the United States, it would have represented 40 percent. Even without the United States, the deal will span a market of nearly 500 million people, making it one of the world’s largest trade agreements. For more info on the CPTPP signing. On February 4, 2016, after more than five years of negotiations, trade ministers representing Australia, Brunei Darussalam, Canada, Chile, Japan, Malaysia, Mexico, New Zealand, Peru, Singapore, United States, and Vietnam, signed the Trans-Pacific Partnership Agreement (TPP) in Auckland, New Zealand. On November 5, 2015, the TPP agreement became publicly available by the U.S. Trade Representative at http://go.wh.gov/TPPText. Leaders of the original twelve Trans-Pacific Partnership countries successfully concluded the negotiations of the Trans-Pacific Partnership on October 5, 2015. The TPP was the best chance to ensure that the United States is in the game in Asia. The lame duck Congress did not approve TPP in 2016 as hoped, and the new Trump Administration pulled the U.S. out of the TPP. The TPP was negotiated as a single undertaking that covers all key trade and trade-related areas. 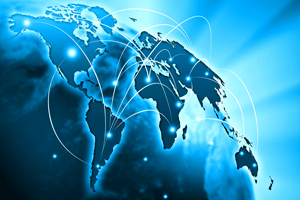 In addition to updating traditional approaches to issues covered by previous free trade agreements, the TPP 12 included new and emerging trade issues. TPP 12 put American workers first by establishing the highest labor standards of any trade agreement in history, helping small and medium-sized businesses benefit from trade, promoting anticorruption and transparency, and protecting U.S. workers from unfair competition. All of the negotiating 12 countries also had agreed to adopt high standards in order to ensure that the benefits and obligations of the agreement are fully shared. U.S. goods exports to TPP nations totaled $680.1 billion in 2015, representing 45.2 percent of total U.S. goods exports. 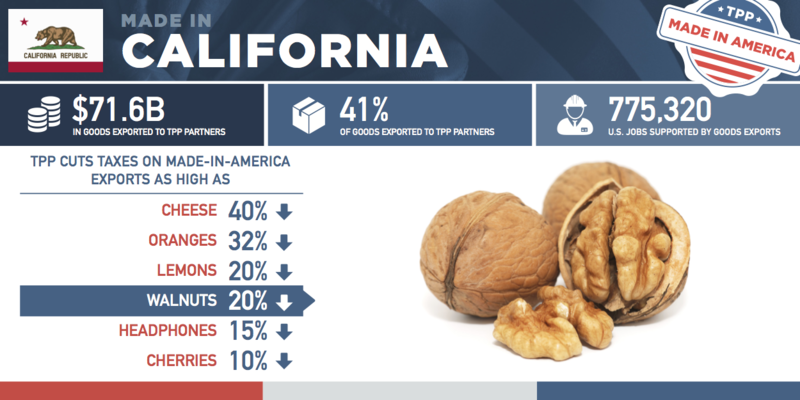 California goods exports to TPP nations were $68.9 billion, making up 41.6% of California’s goods exports. As an alternative to the TPP, the Regional Comprehensive Economic Partnership (RCEP) is a proposed Free Trade Agreement with ten ASEAN member states-(Brunei, Burma (Myanmar), Cambodia, Indonesia, Laos, Malaysia, the Philippines, Singapore, Thailand, Vietnam) and the six states with which ASEAN has existing FTAs (Australia, China, India, Japan, South Korea and New Zealand). RCEP negotiations were launched in November 2012 and could conclude in 2017. If TPP fails and the RCEP succeeds, then it will become the sole foundation for economic integration in the region. RCEP includes more than 3 billion people or 45 percent of the world’s pop – combined GDP of about $21.3 trillion, accounting for about 40 percent of world trade. The RCEP would be expected to grow to over $100 trillion by 2050, roughly double the project size of TPP economies. It would be the biggest free-trade agreement in the world, but without the United States or any membership from the Americas. The importance of Trans-Pacific trade relations was the subject of a recent international forum at the California Chamber of Commerce. More than 200 forum attendees joined a representative from the Office of the U.S. Trade Representative, the Consul General of New Zealand and a representative from the U.S. Department of Commerce to discuss vital issues to the successful passage and implementation of the Trans-Pacific Partnership (TPP). It’s the highest standard trade agreement in history. It eliminates 18,000 taxes that various countries put on American goods. That will boost Made-in-America exports abroad while supporting higher-paying jobs right here at home. And that’s going to help our economy grow. You can read the text of the Trans-Pacific Partnership here. (October 5, 2015) “We, the trade ministers of Australia, Brunei Darussalam, Canada, Chile, Japan, Malaysia, Mexico, New Zealand, Peru, Singapore, United States, and Vietnam, are pleased to announce that we have successfully concluded the Trans-Pacific Partnership. After more than five years of intensive negotiations, we have come to an agreement that will support jobs, drive sustainable growth, foster inclusive development, and promote innovation across the Asia-Pacific region. Most importantly, the agreement achieves the goal we set forth of an ambitious, comprehensive, high standard and balanced agreement that will benefit our nation’s citizens. TPP brings higher standards to nearly 40 percent of the global economy. In addition to liberalizing trade and investment between us, the agreement addresses the challenges our stakeholders face in the 21st century, while taking into account the diversity of our levels of development. We expect this historic agreement to promote economic growth, support higher-paying jobs; enhance innovation, productivity and competitiveness; raise living standards; reduce poverty in our countries; and to promote transparency, good governance, and strong labor and environmental protections. The large and growing markets of the Asia-Pacific already are key destinations for U.S. manufactured goods, agricultural products, and services suppliers, and the TPP will further deepen this trade and investment. U.S. goods exports to TPP nations totaled $680.1 billion in 2015, representing 45.2 percent of total U.S. goods exports. U.S. Trade Representative Michael Froman noted in May 2016 that, “though the U.S. International Trade Commission took a more narrow approach in their projections, they found that U.S. exports to TPP countries will increase by $57.2 billion annually by 2032 if TPP is passed and that overall U.S. real income will increase by $57.3 billion annually by 2032.” In contrast, the non-partisan Peterson Institute estimated in its January 2016 study that access to the Asia-Pacific region could increase U.S. exports by $357 billion annually by 2030 and overall U.S. annual real income by $131 billion annually by 2030. Furthermore, delaying the passage of TPP for just one year would cost the U.S. economy $94 billion.Annual income gains by 2030 will be $492 billion for the world. While the United States will be the largest beneficiary of the TPP in absolute terms, the agreement will generate substantial gains for Japan, Malaysia, and Vietnam as well, and solid benefits for other members. On November 14, 2009, during his first trip to Asia as President of the United States, President Barack Obama announced the United States’ intention to engage with the Trans-Pacific Partnership countries to shape a regional agreement, with the objective of shaping a high-standard, broad-based regional pact helping to expand U.S. exports, saving and creating good U.S. jobs. In November 2011, at the APEC meetings in Hawaii, Japan, Mexico and Canada expressed interest in joining the Trans-Pacific Partnership negotiations and were welcomed by the US. 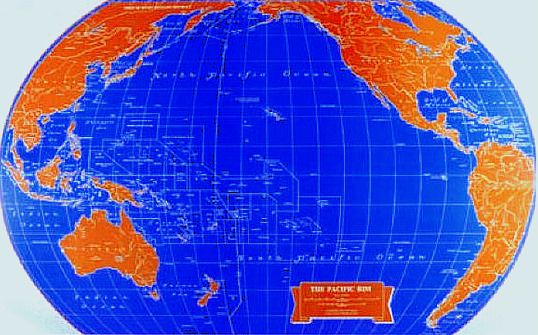 The original Trans-Pacific Agreement negotiations were launched by Chile, New Zealand and Singapore at the APEC leaders’ summit in 2002. After attending a number of rounds as an observer, Brunei joined the Trans-Pacific Agreement as a “founding member”. The Trans-Pacific Strategic Economic Partnership Agreement (TPP) was signed by New Zealand, Chile, Singapore and Brunei in the summer of 2005. Following the passage of implementing legislation and regulations in March and April 2006, the Trans-Pacific Agreement entered into force on May 1, 2006 for New Zealand and Singapore, Brunei on June 12, 2006 and entered into force for Chile on November 8, 2006. One of the objectives of the Trans-Pacific Agreement is to create a trade agreement that could be seen as a model within the Asia-Pacific region and could potentially attract new members. The agreement is open to accession “on terms to be agreed among the parties, by any APEC economy or other state”. As part of the original outcome of negotiations in 2005 it was agreed to begin negotiations on financial services and investment within two years of entry into force. Those negotiations began in March 2008, with the United States participating while it considered whether to enter into negotiations to join the Trans-Pacific Agreement on a comprehensive basis. The Asia-Pacific region is a key driver of global economic growth, representing nearly half of the earth’s population, one-third of global GDP and roughly 50 percent of international trade. The average GDP growth rate in the rapidly growing and dynamic countries in this region is projected to be 5.3 percent in 2016, compared with the world GDP forecast of 3.4 percent in 2016. The IMF estimates that nearly two-thirds of world economic growth in 2016-2017 will be in Asia. In 2015, U.S. exports with the TPP members reached $680.1 billion and California exports were $68.7 billion, according to the U.S. Department of Commerce. The United States is gradually losing market share in trade with Asian countries. Asian countries have negotiated more than 160 trade agreements among themselves, while the United States has signed only three with regional countries (South Korea, Singapore and Australia). In their 2008 discussions, the Ministers emphasized the importance of the Trans-Pacific Partnership Agreement as a vehicle for Trans-Pacific-wide economic integration. This regional agreement sets a high standard that will enhance the competitiveness of the countries that are part of it and help facilitate trade and promote investment between them, increasing their economic growth and development. They also noted that the Trans-Pacific Partnership is reinforcing the Asia-Pacific Economic Cooperation (APEC) goal of promoting regional economic integration and that it could serve as a potential way to build towards the Free Trade Area of the Asia Pacific. Accession to the agreement will be possible after completion of the TPP with the current members. Other APEC member countries will be able to join or “dock” on to the TPP agreement at a later date without the right to amend the text. These negotiations are expected to take several years. New multilateral, sectoral and regional trade agreements ensure that the United States may continue to gain access to world markets, resulting in an improved economy and additional employment of Americans. 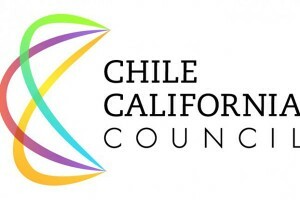 The California Chamber of Commerce supports new countries joining TPP with participants complying with current international norms and obligations, and committing to the high standards currently being negotiated for trade and investment, as well as, intellectual property protection and enforcement. Agreements like this would ensure that the United States may continue to gain access to world markets, which will result in an improved economy and additional employment of Americans. Video by Peterson Institute for International Economics addressing concerns regarding currency manipulation in TPP.